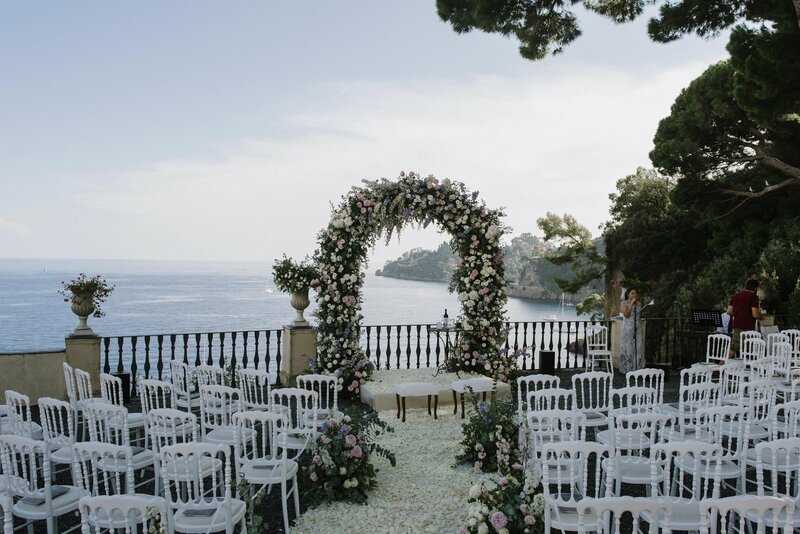 Robyn and Irvan exchanged vows at the exclusive La Cervara, a Benedictine abbey overlooking the sea of Portofino. Robyn wore a LPG custom gown which combined elements from her two favorite styles, Sansa and Bella. 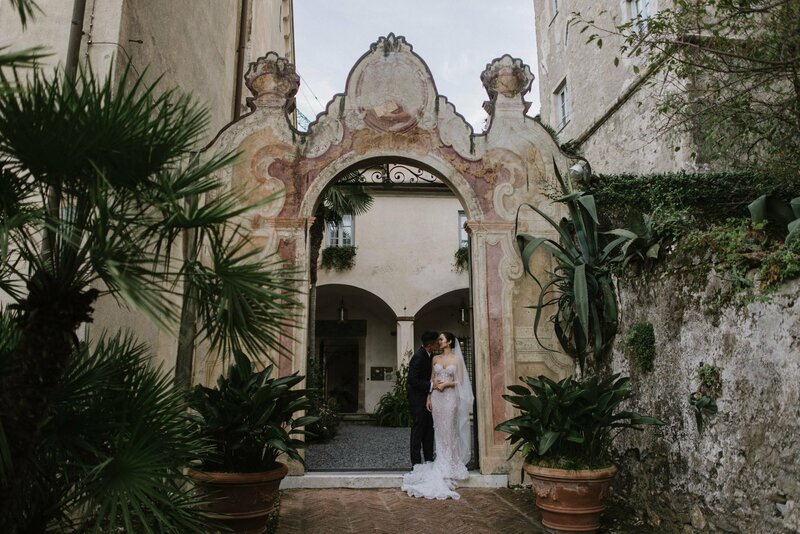 Robyn and Irvan exchanged vows in a stunning intimate setting at the exclusive La Cervara, a Benedictine abbey overlooking the sea of Portofino. 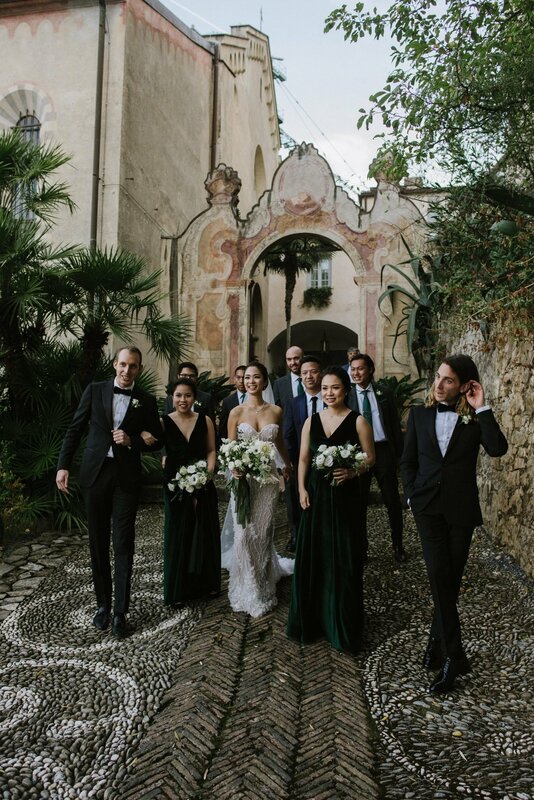 The couple, who met when they were both in high school in Jakarta and began dating several years later, decided on this spectacular Italian destination for their wedding after getting engaged there and falling in love with the picturesque town. 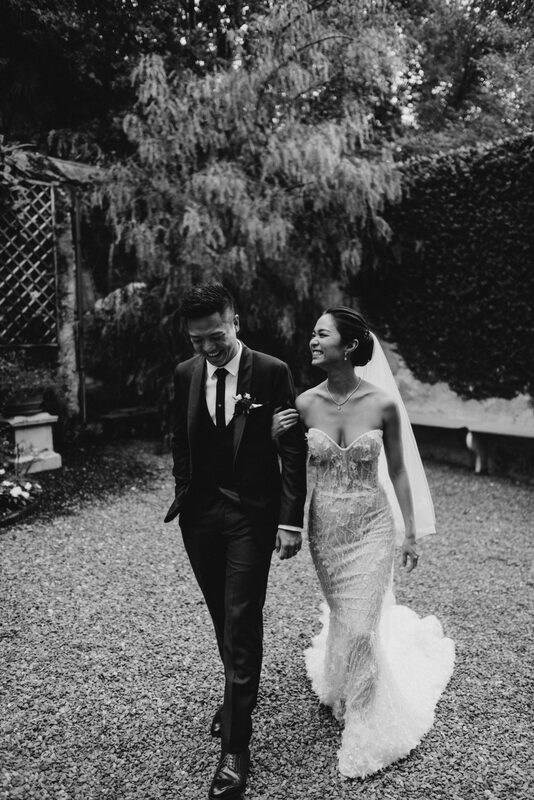 Robyn wore a LPG custom gown which combined elements from her two favorite styles, Sansa and Bella. 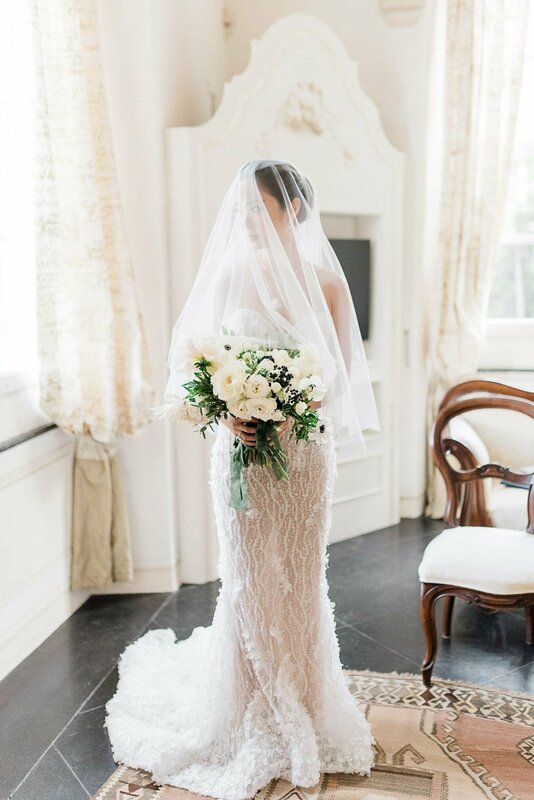 The result was a beautiful strapless gown with an abundance of texture that fit right in with the breathtaking venue! 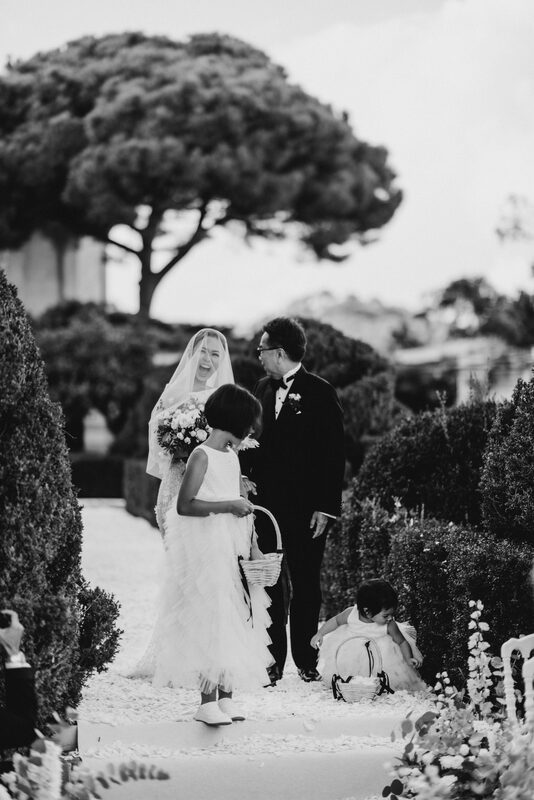 Scroll down to read our interview with Robyn and to view her beautiful wedding album. That morning the weather was perfect so we took a boat to a nearby village and then he wanted to have lunch back at the hotel. Irvan likes to do all kinds of activities and throw something special here and there whenever we go on a holiday, so I didn’t have the slightest idea. That day we had a private lunch overlooking the incredibly gorgeous view of the port and surprisingly it was scorching hot in October so I wanted to get back to the room before dessert. Suddenly one of the waitresses brought our dessert plate and when she opened the cover, I saw a bright orange box and suddenly he got on one knee and asked me to marry him with the most beautiful ring. 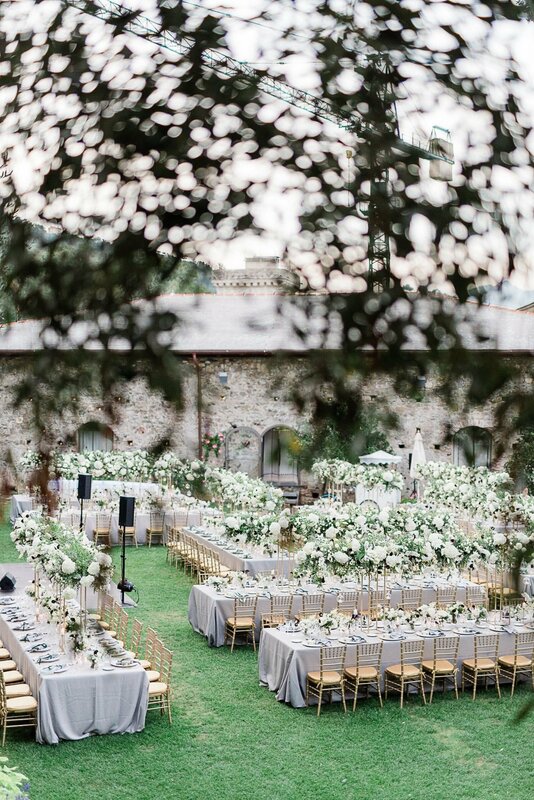 Can you tell us about your wedding venue? 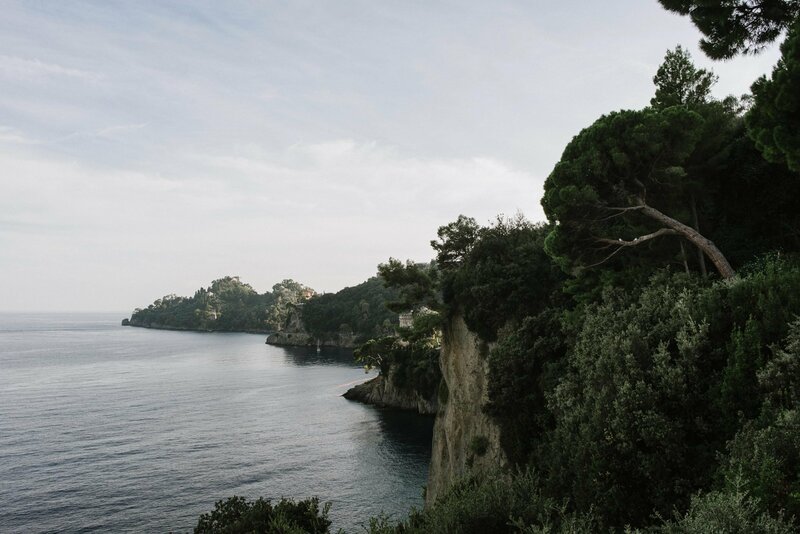 I knew instantly it had to be Portofino. We wanted something intimate yet charming. 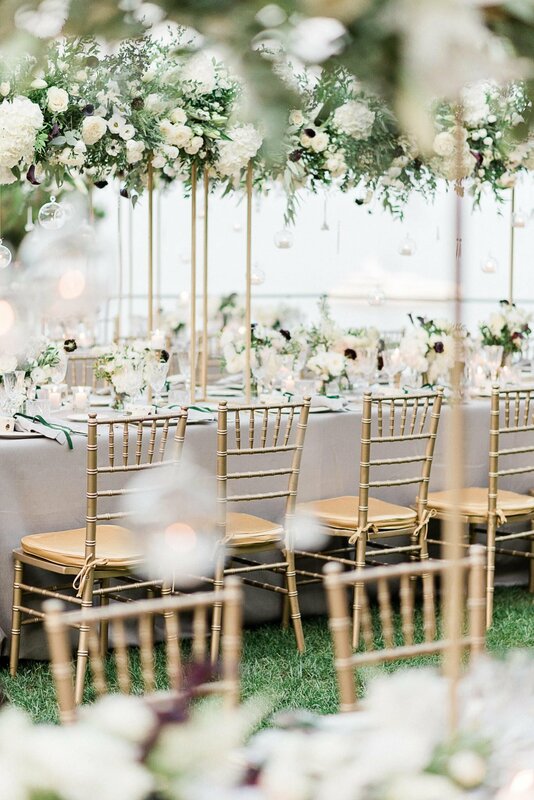 It turned out to be perfect because it’s a small town where all our guests got to mingle and spend time together even outside our predetermined events. I fell in love with the city first, and when I saw La Cervara, I knew it had to be there and nowhere else. 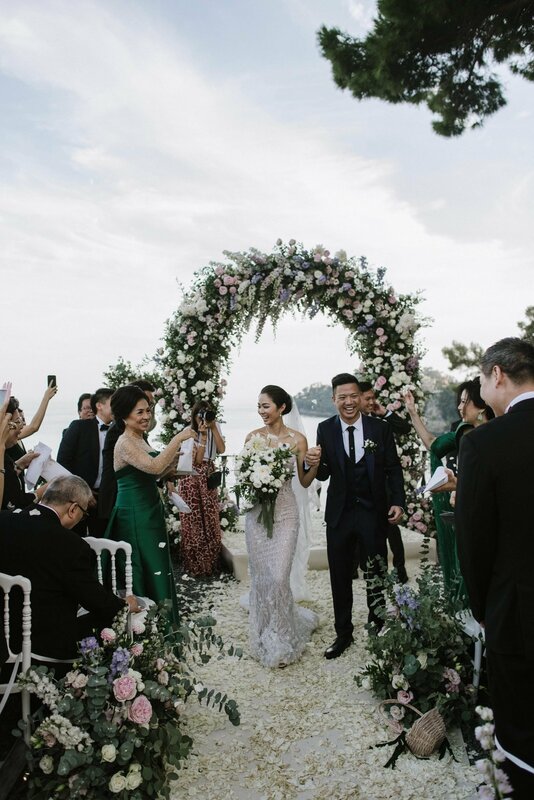 The lush greenery, the serene architecture, the way every corner of the venue is magical, and the view of the water where it meets the dreamy cliff. 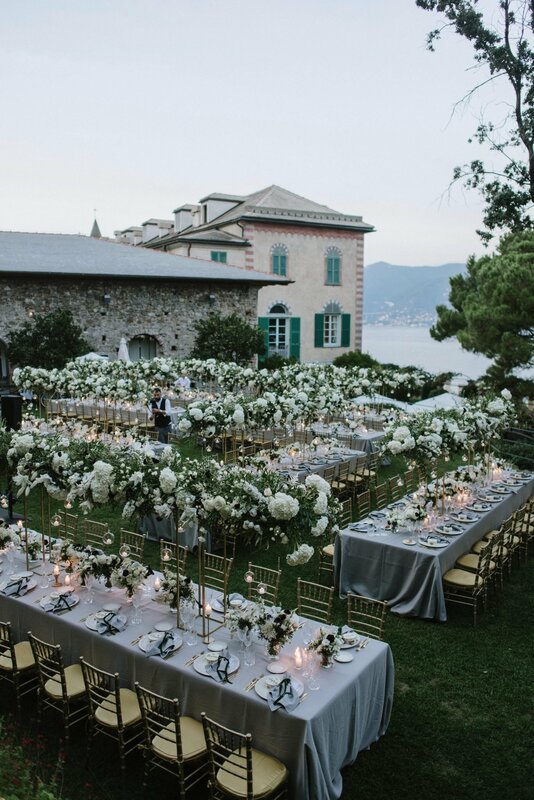 Everything about La Cervara checked all the boxes where my dream wedding should be. 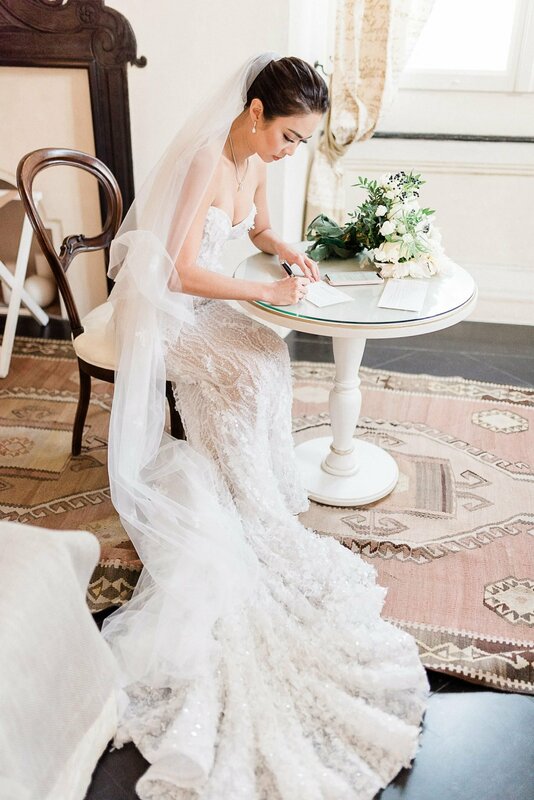 What are some things you enjoyed about planning your wedding? I loved collaborating with Irvan and it was the first time we worked as a team on a “project.” He was such a responsible and caring partner with the craziest ideas. It was such a joy in itself to see your husband-to-be as excited about the wedding as you are. We would even take turns calming each other during our serial mini panic attacks, and we appreciated each other’s input, so the guests felt a little bit of me and Irvan here and there throughout the events. 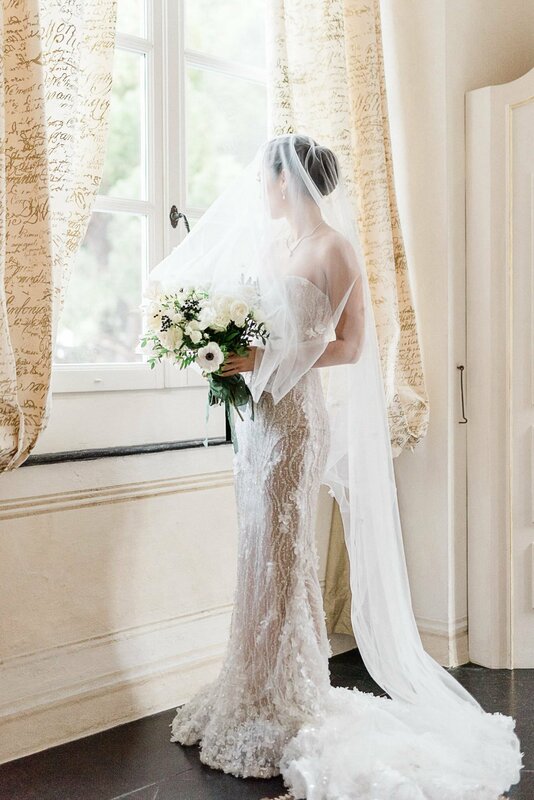 Also, creating my wedding dress with Lee was magical and seamless. She understood me and I understood her. It was as if she already knew me. 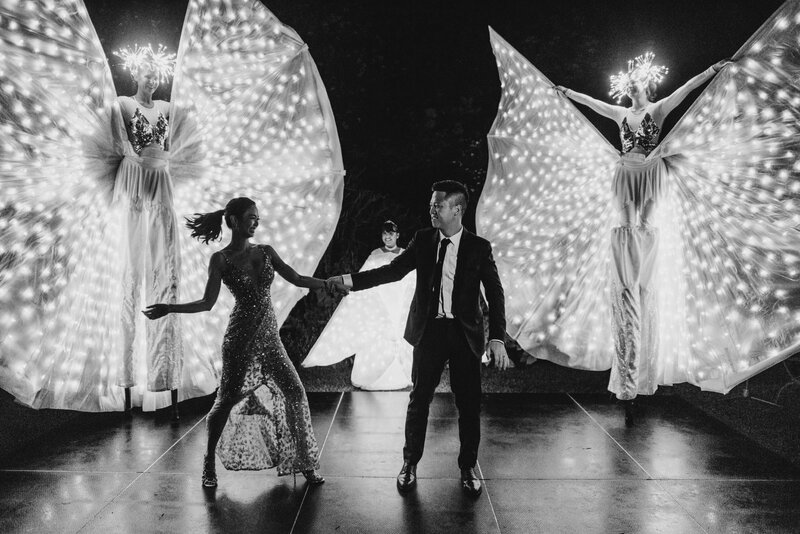 I was lucky to find Lee who listened and turned my dream dress into reality in such a short period of time. 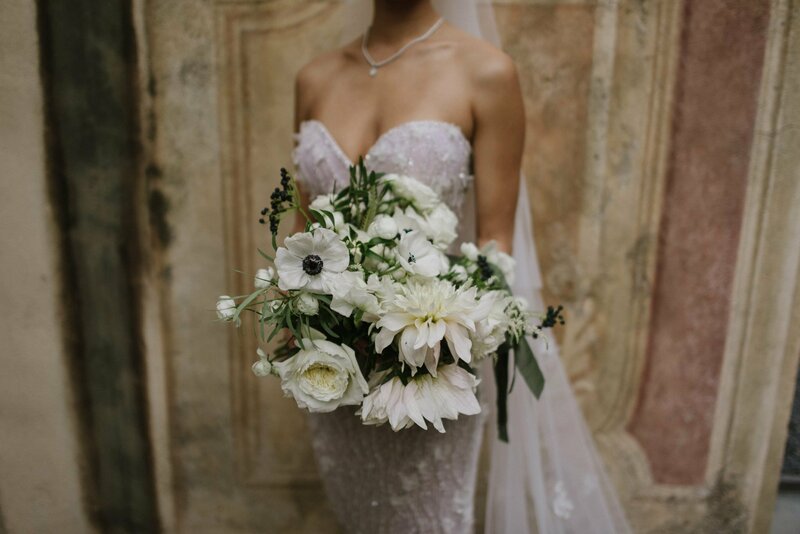 What was the process of finding your LPG dress like? I came across Lee’s dresses on Pinterest and instantly felt I should try one of her dresses. 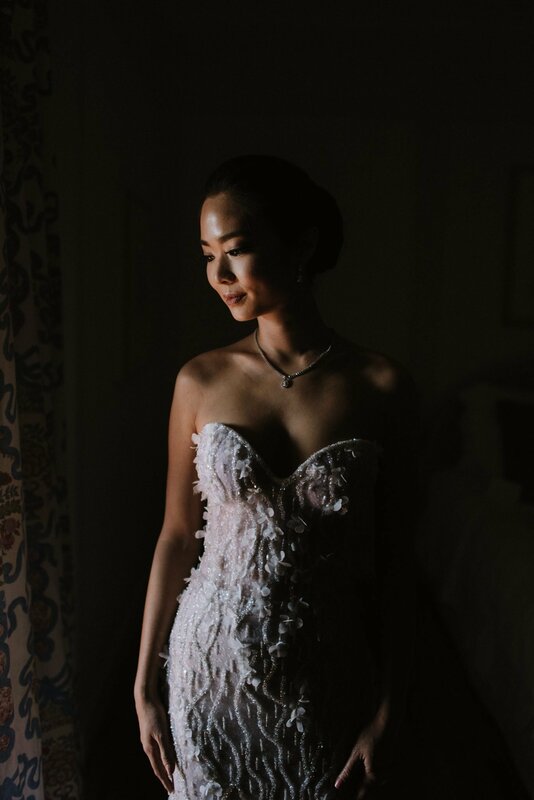 When I found out Truly Enamoured was having a trunk show, I tried on a few of Lee’s dresses and I immediately fell in love with her craftsmanship, her attention to detail, and the touch of femininity in her designs.. after trying on more gowns in Singapore and Los Angeles, I found I couldn’t find any other designer and dress that truly felt like me and that would compliment my body type more than Lee’s dresses. I tried on the Sansa and Bella but couldn’t pick one for the longest time and finally decided to create a dress based on both designs. I spoke with Lee on the phone and described to her what I wanted and what my dreams were. She sent me beautiful sketches and I gave her my approval. It seemed so easy because Lee really listened and understood what I wished for, and for that I’m forever grateful I picked her. 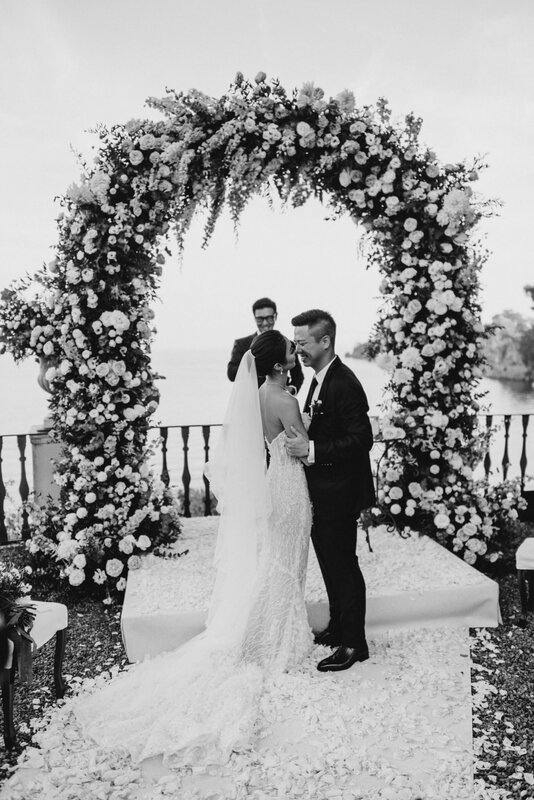 What’s your favorite memory of your wedding? 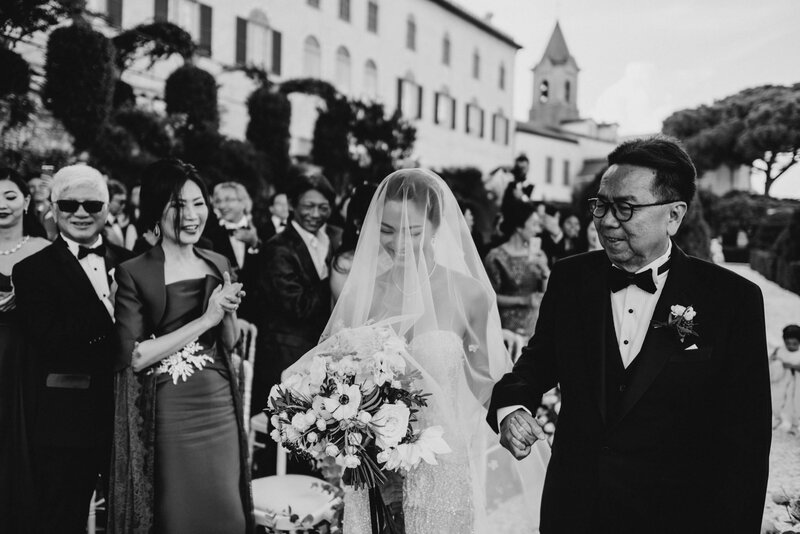 Even though walking down the aisle with my father was such an important and sweet memory of our wedding, we definitely had an amazing time on our first dance. We practiced for months and we were both so nervous because we realized we were too ambitious. Even though we both sometimes forgot parts of the dance, we had such a fun time. 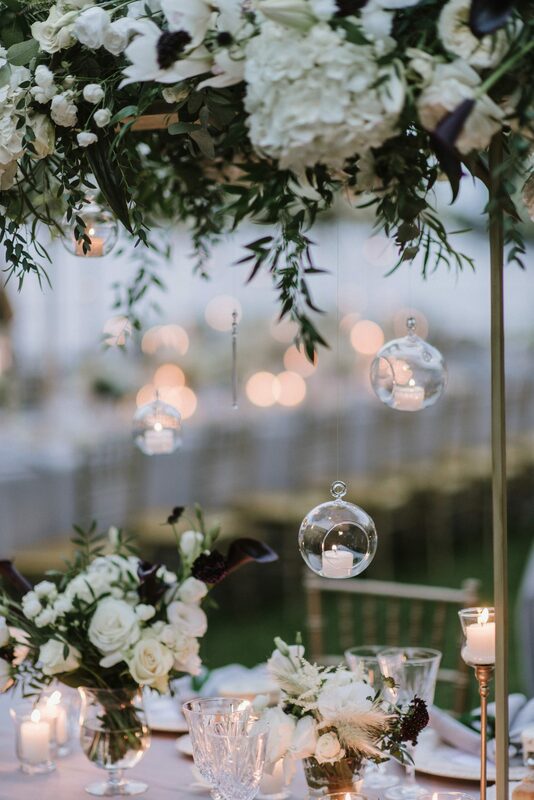 We laughed and the guests laughed – it really lit up the atmosphere.. it was truly everybody’s perfect ending to the dinner. Any other detail you’d like to share? 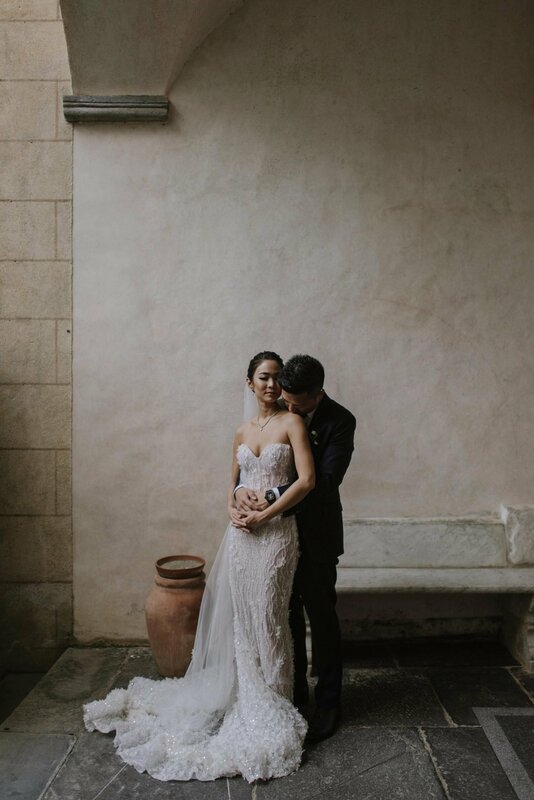 I really savored and enjoyed each little moment during our wedding.. 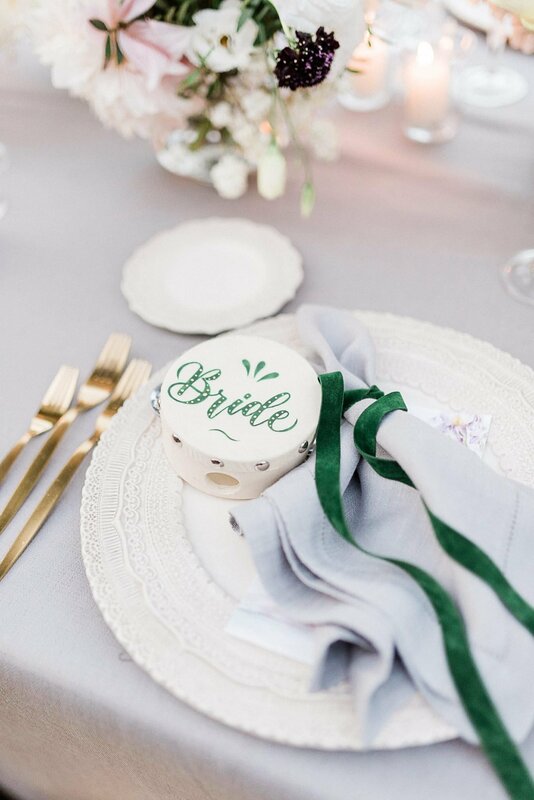 The special day will go by so quickly and the only thing really left are the memories and the feelings that you leave behind, either to the guests or within yourself, so make sure they are memorable ones!